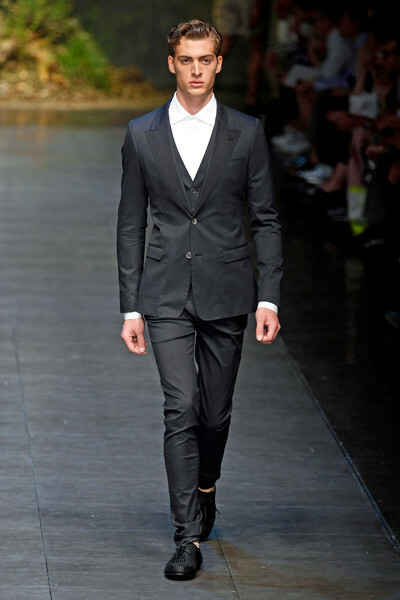 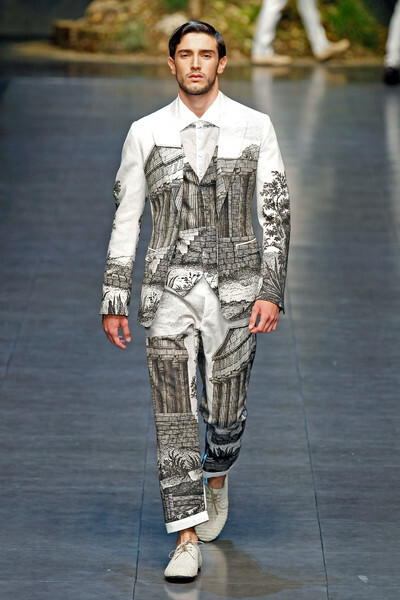 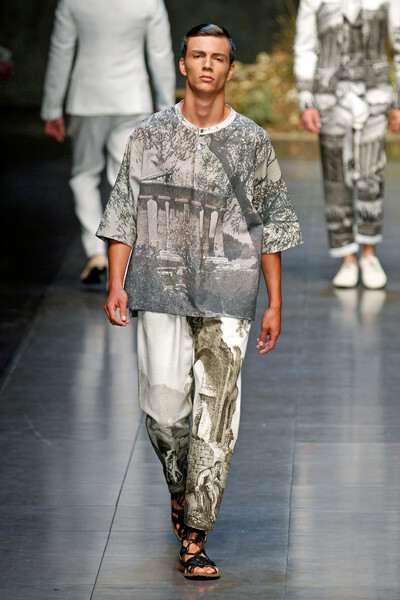 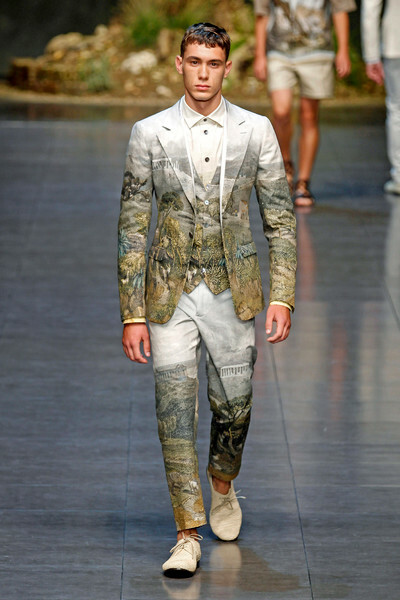 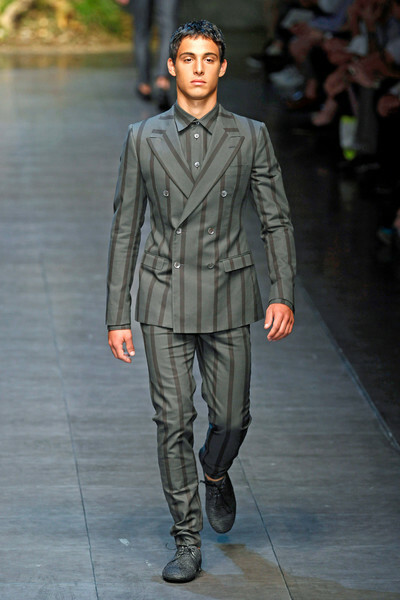 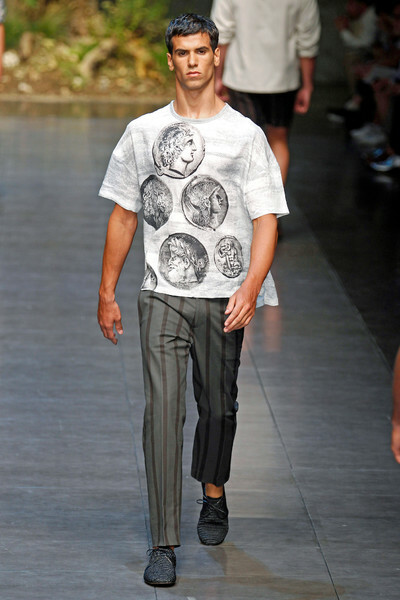 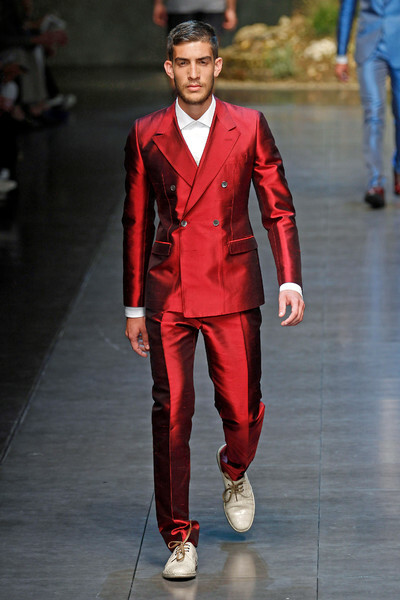 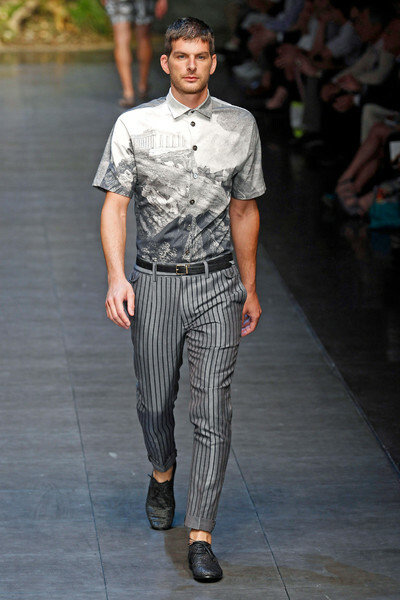 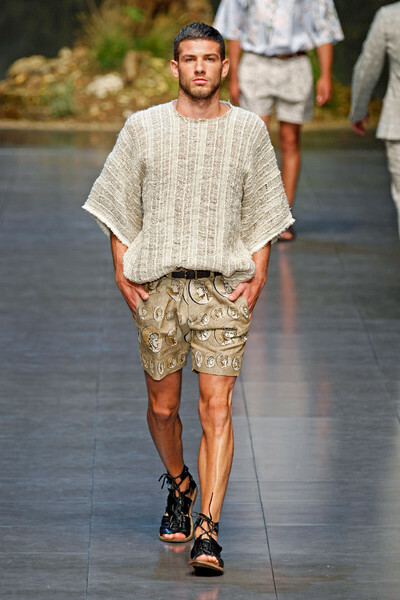 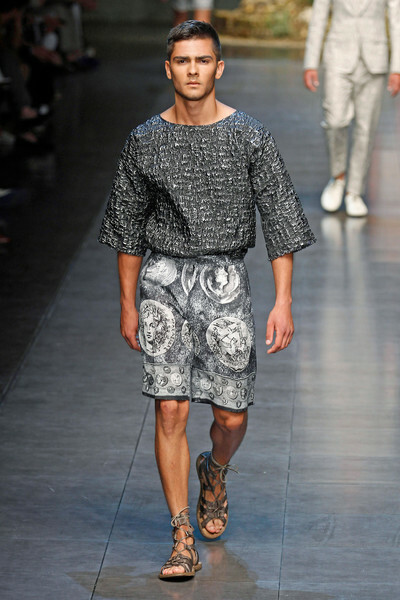 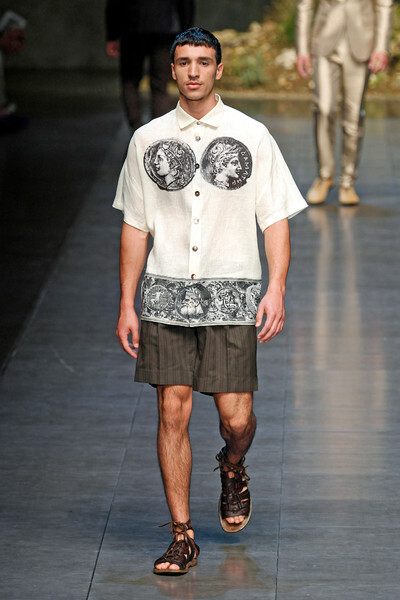 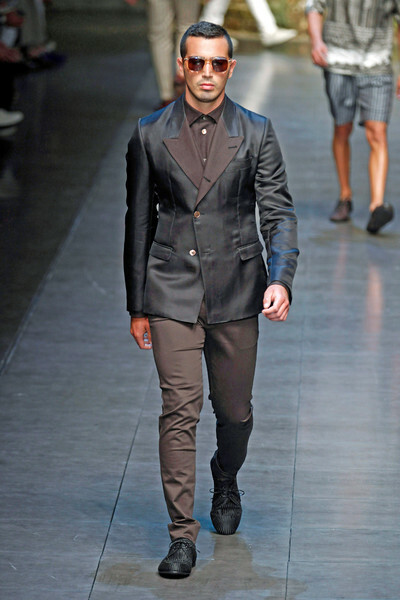 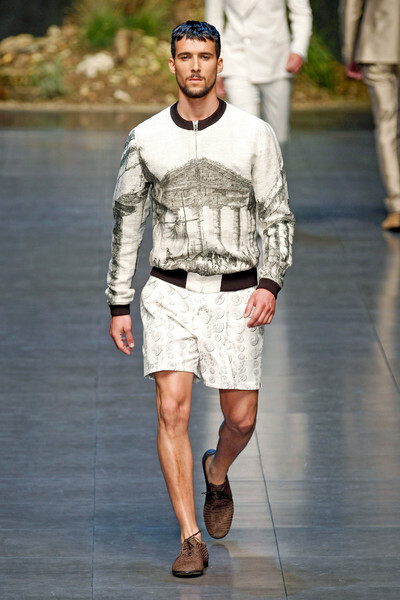 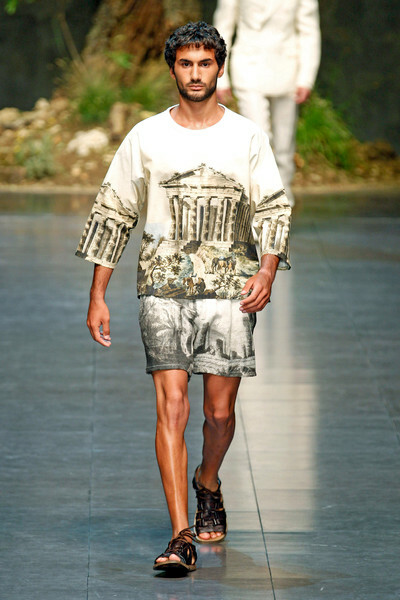 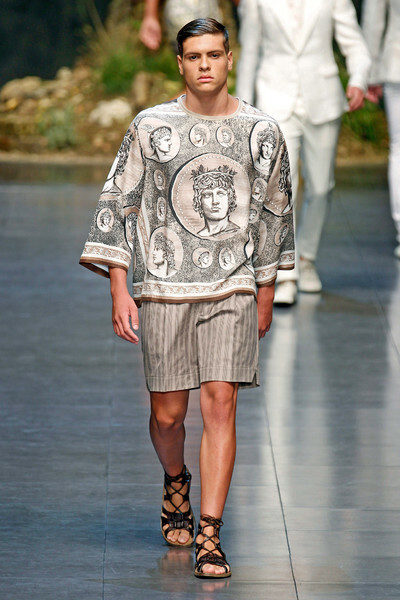 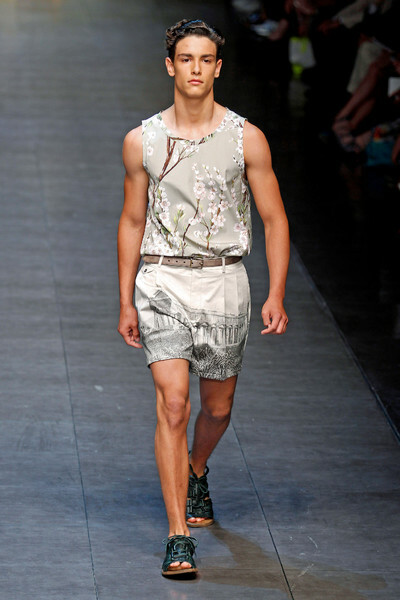 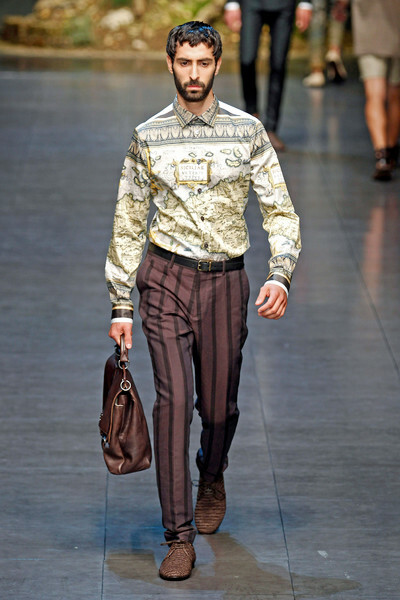 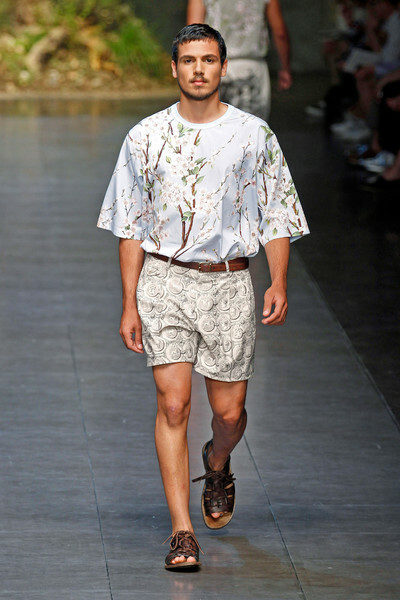 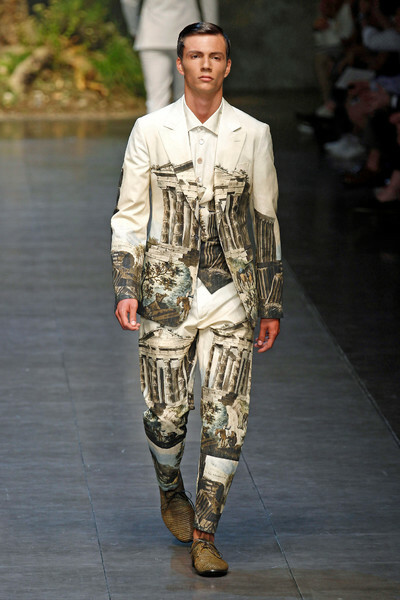 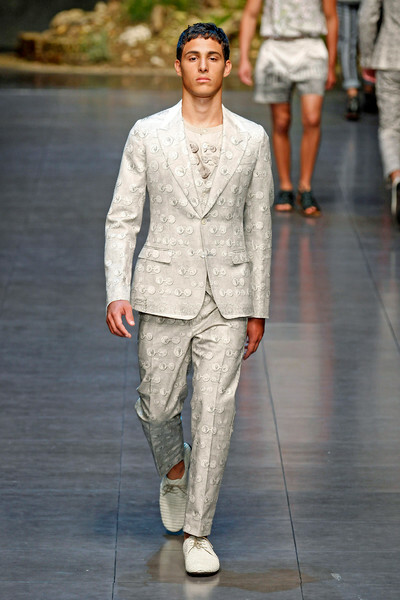 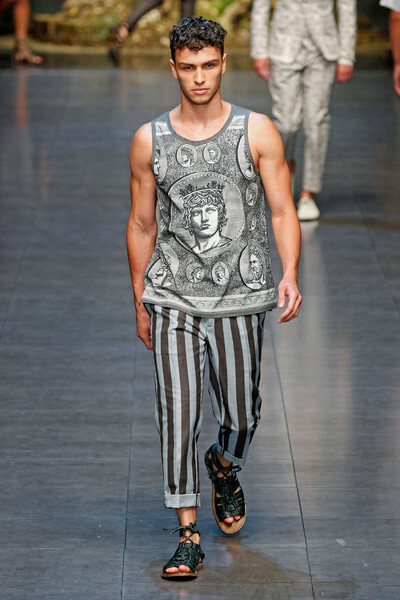 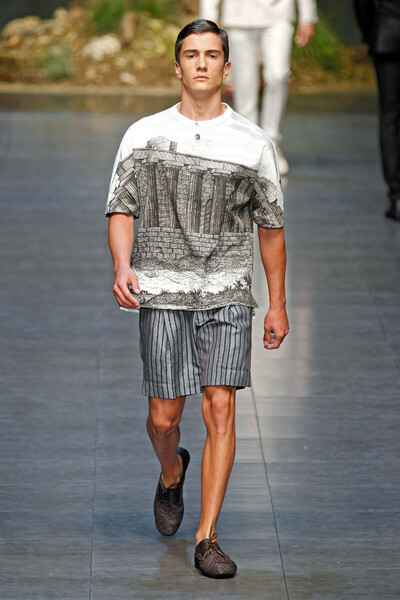 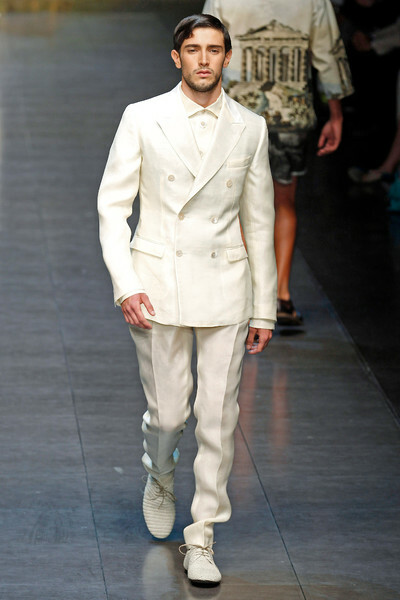 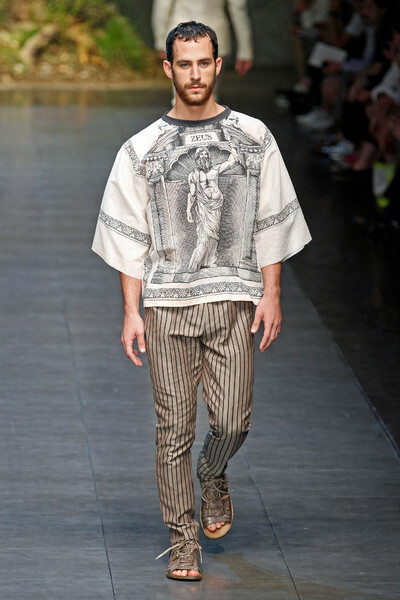 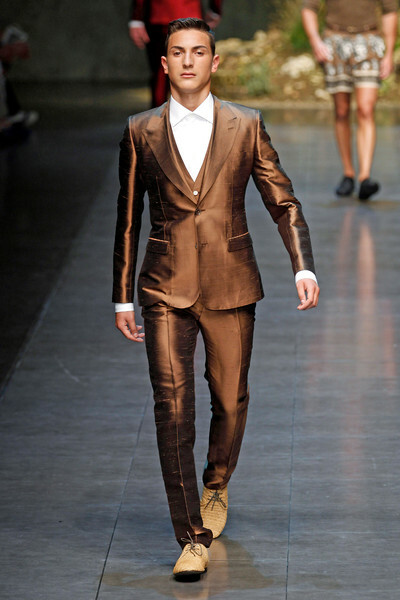 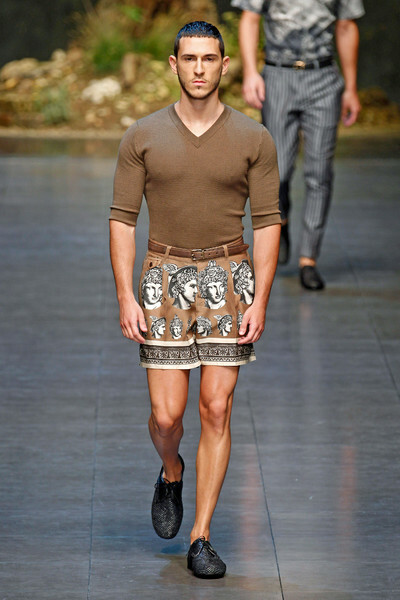 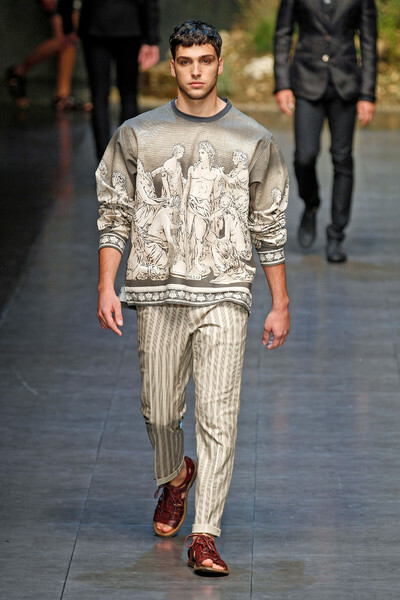 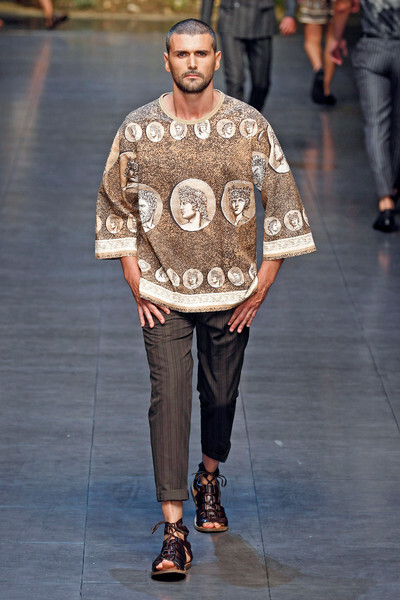 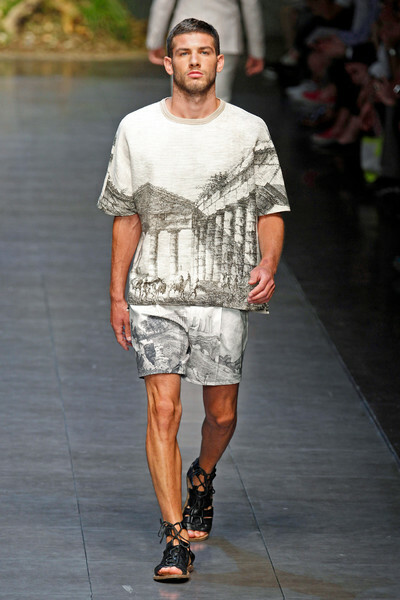 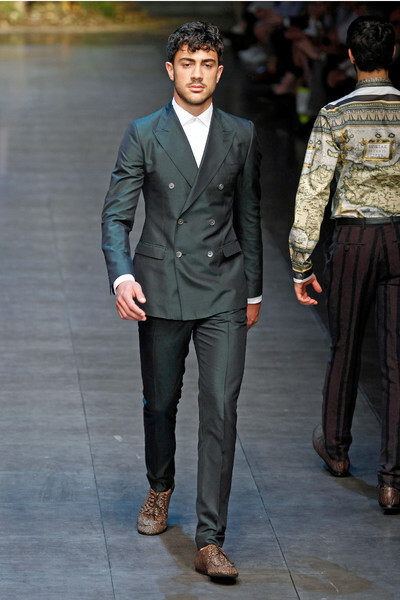 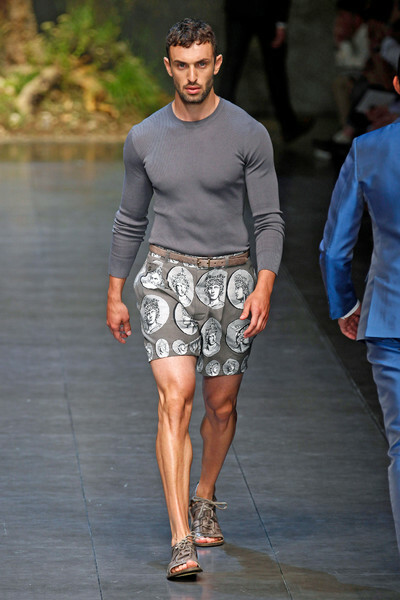 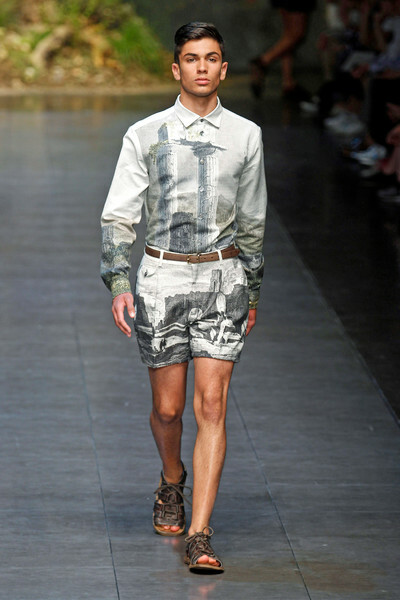 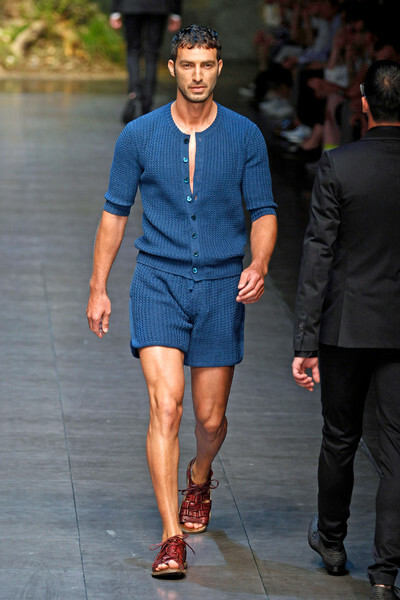 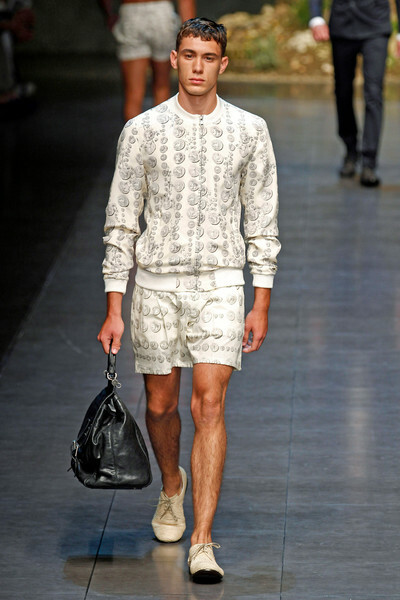 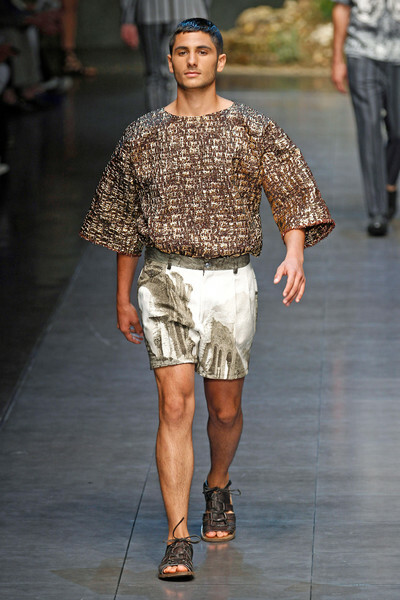 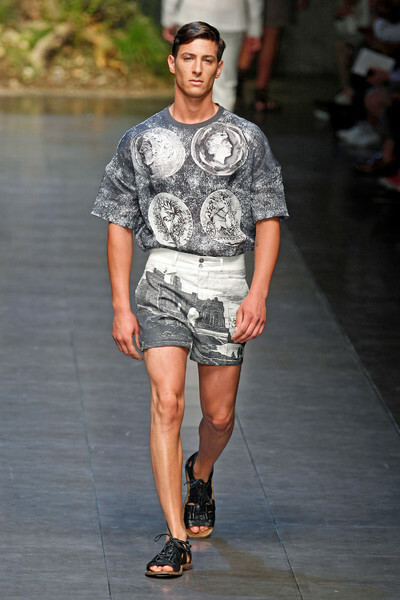 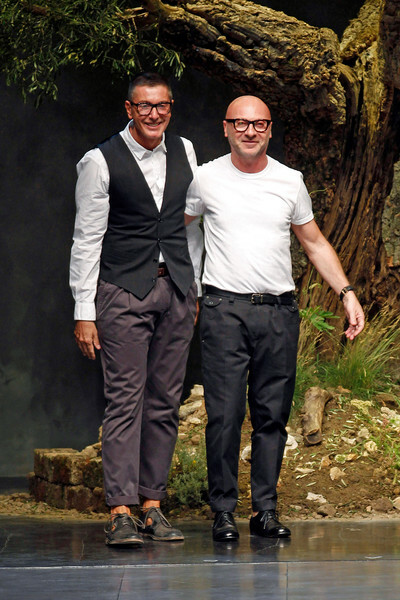 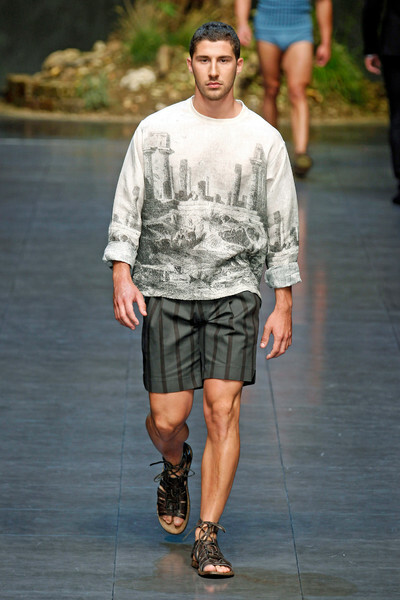 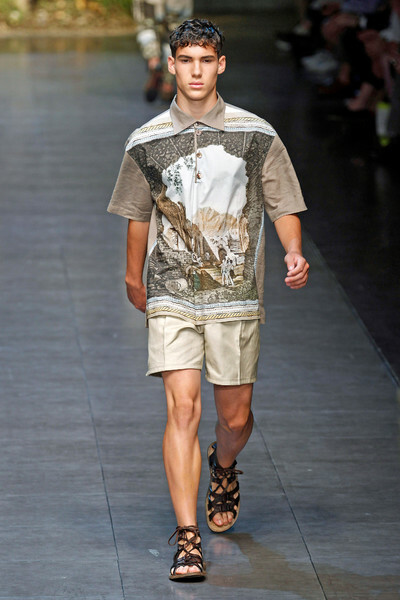 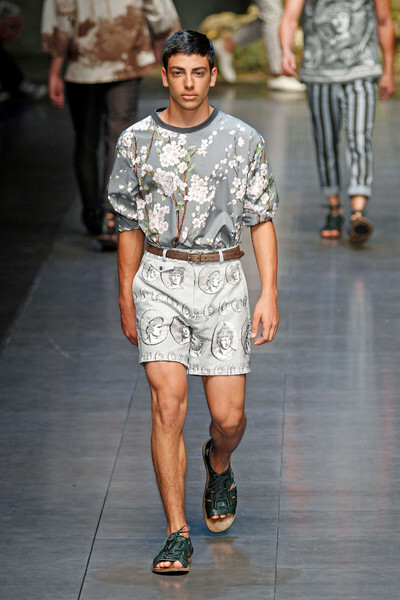 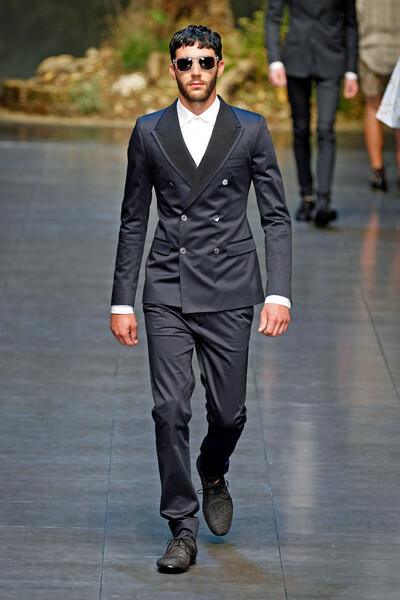 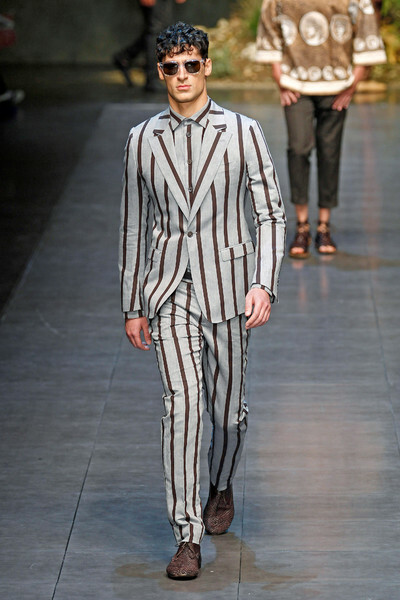 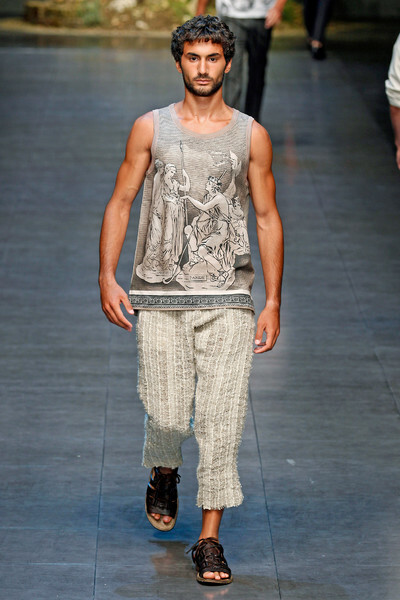 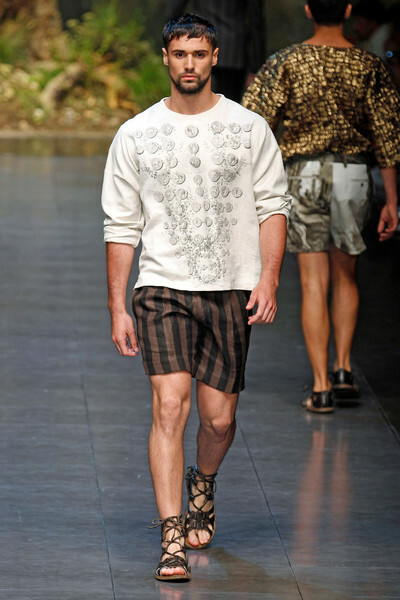 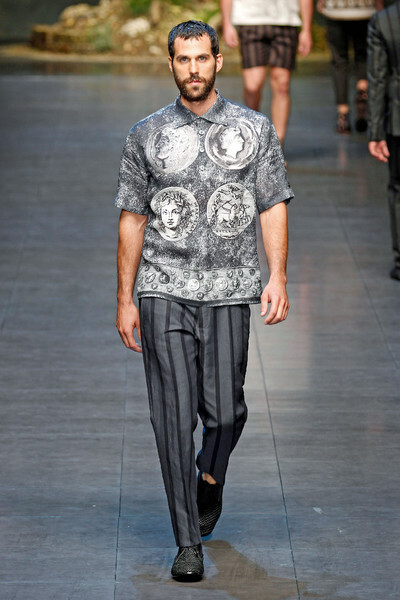 The Dolce & Gabbana Men’s Summer 2014 drew inspiration from Sicilian mythology, whose Greek origins are still retraceable in places such as the Valle dei Templi of Agrigento, at the majestic amphitheatres, like the one at Taormina, and at the Tempio di Apollo of Syracuse. 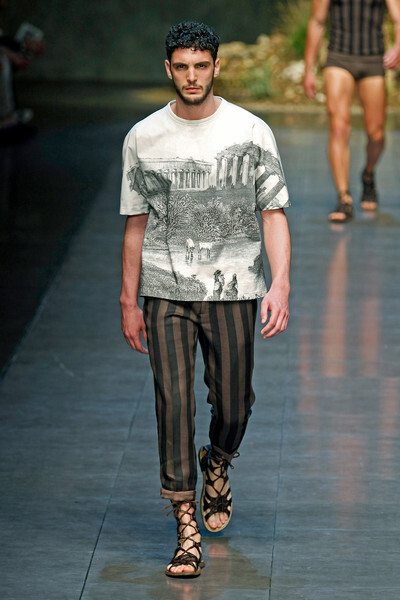 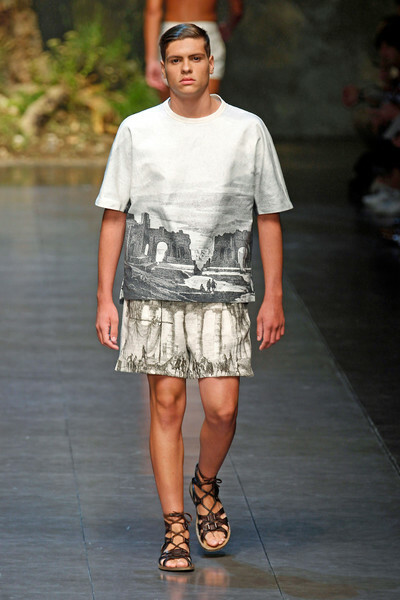 Visible on the catwalk were prints that represented the classic mythology through the faces of Zeus, Apollo and of antique temples. 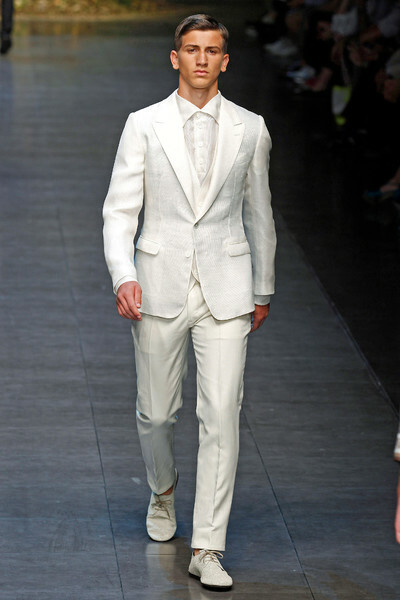 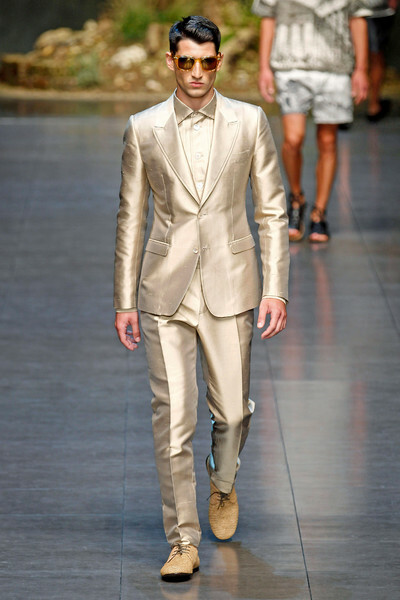 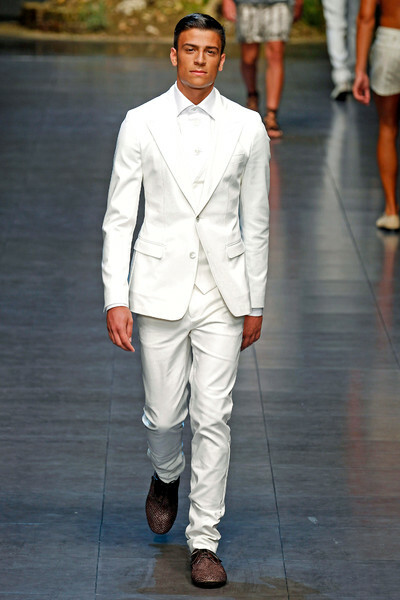 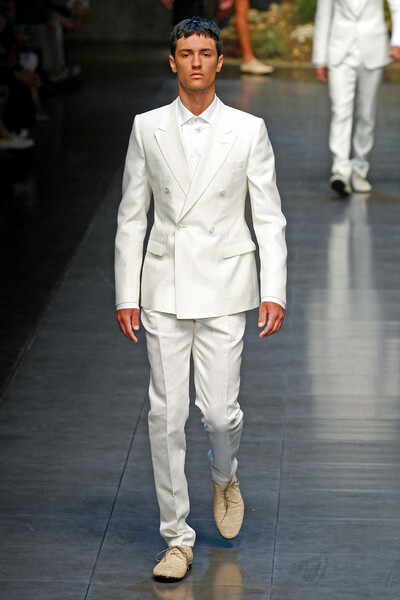 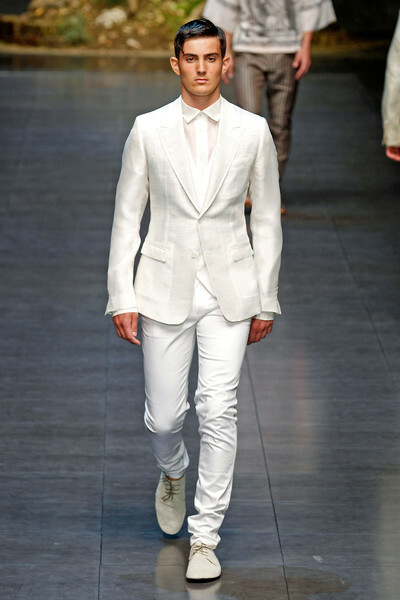 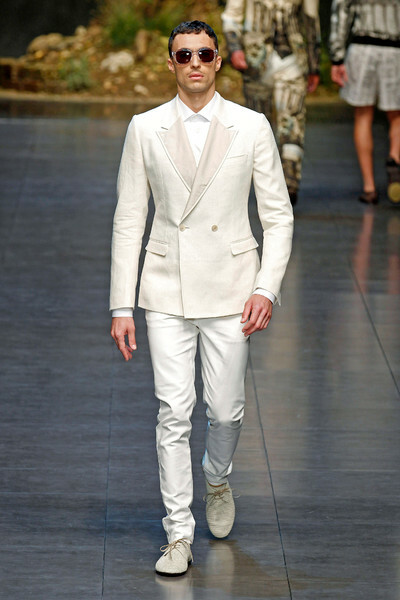 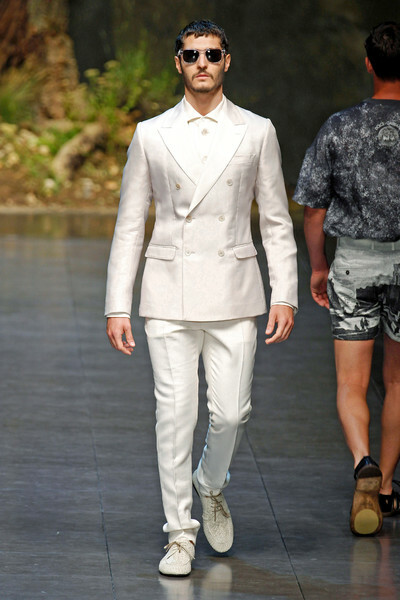 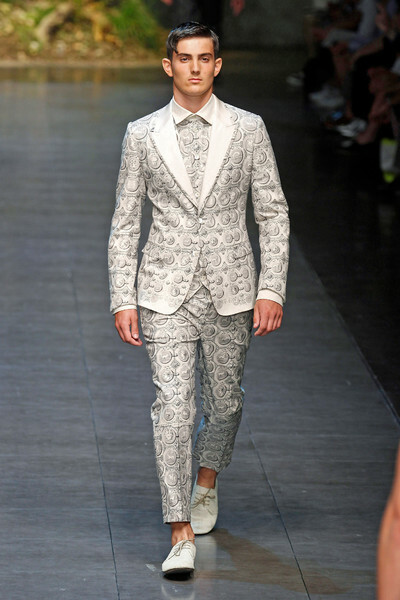 Besides the stretchy and tight-fitted suits (mostly in white) were blousons mixed with linen pants, shorts.